At Nature's Best we are distributors of a wonderful range of high quality dog leads, collars and harnesses for your furry friend. Available in a variety of colours, patterns, and styles, we have nothing but comfortable and safe products for every sized breed of dog and puppy. From secure body harnesses and nonrestrictive muzzles, to stylish collars and long, retractable leads, you are guaranteed to find something to suit your dog's needs at Nature's Best. 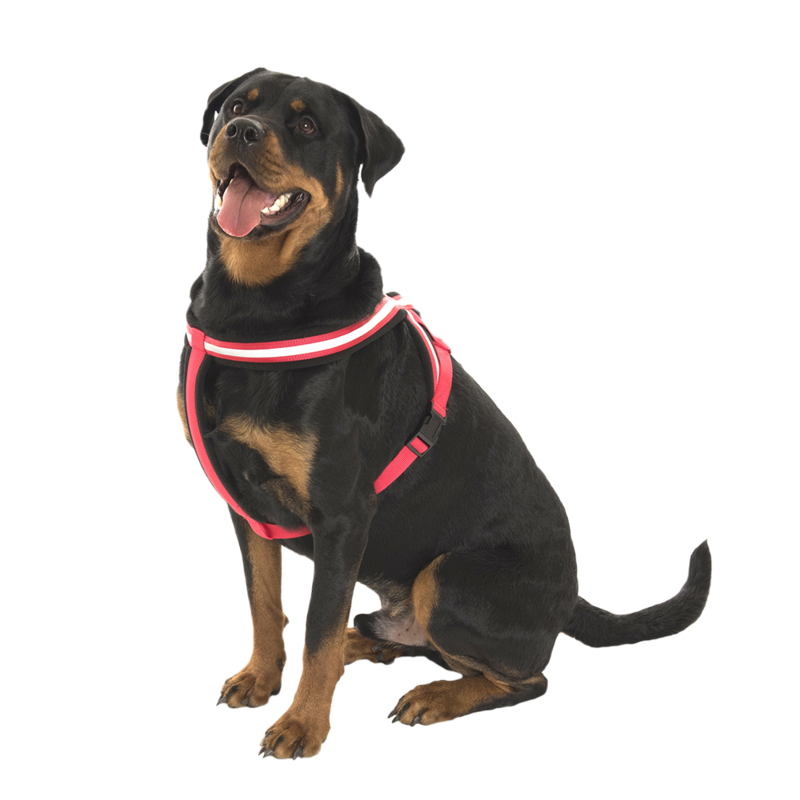 The COA Comfy Harness is made from high grade nylon and lined with fleece for a comfortable fit. Features an adjustable chest strap and reflective strips so your dog can be seen at any time throughout the day. The COA Baskerville Ultra Muzzle is designed to stop dogs from biting, yet still be comfortable and non-restricted. Features safety straps for a secure fit and a removable head strap. The Baskerville Ultra Muzzle is also treat friendly and comes with a user guide. The CLIX 3 in 1 Slip Lead is a one piece lead that can assist in training your furry friend. Made from polyamide, it has a stainless steel stop ring and a loop for holding. Whether you want to use the CLIX 3 in 1 Slip Lead as a head collar or slip lead to prevent pulling, or as a fixed collar and lead for general exercise, you can be assured that this lead is incredibly durable and comfortable. The CLIX Hands Free makes dog handling so much easier! Safe for both the trainer and the dog, simply place around your waist and you're ready to go. Sizes relate to the size of trainer's waist, like a regular belt. The COA HALTI Optifit Headcollar is designed to help dogs to stop pulling. It works by steering the dog's head, just like a horse. Features an adjustable chin strap and reflective cheek straps. Offers a comfortable fit that contours the dog's face, and straps don't interfere with the dog's eyes or nose. 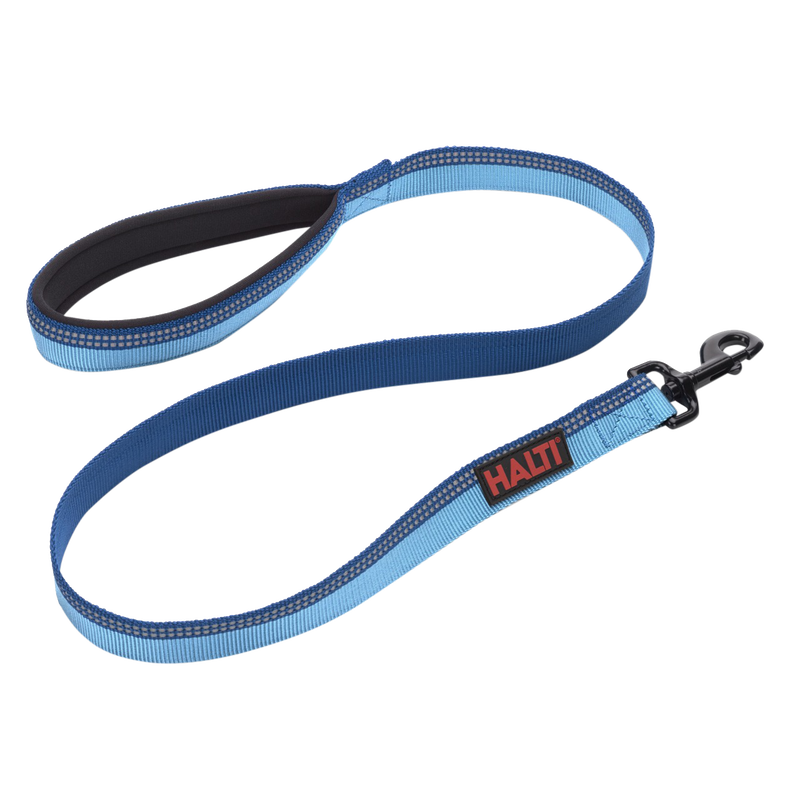 Designed to stop pulling during walks, the COA HALTI Headcollar is highly effective yet gentle on your dog to immediately stop pulling on the lead. Works by steering the dog's head in the direction the owner wants the dog to go, and so the body follows. Padded in areas to ensure a comfortable fit and allows the dog to still pant, drink, and eat friendly. Features a safety link that can attach to the dog's collar. ​Available in BLACK or RED. 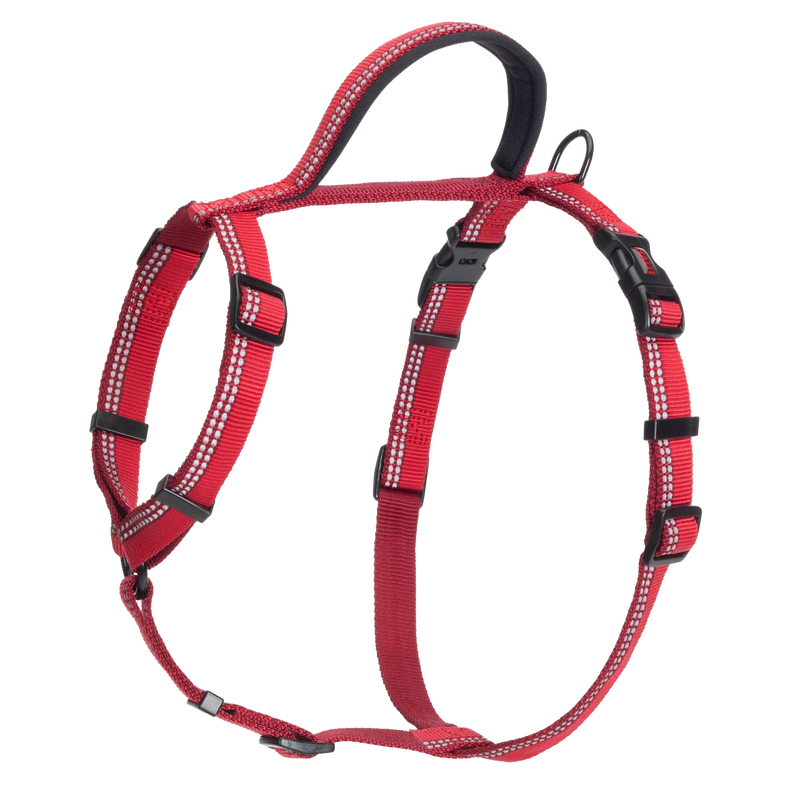 The COA HALTI Harness is designed to steer the dog from the chest and shoulders, giving full control to the owner. Extremely comfortable for the dog to wear. The COA Non-Pull Harness is perfect for dogs that like to pull while walking. The harness is a comfortable fit for your dog, while still keeping you in control. Easy to fit, and very simple to use. The COA HALTI Training Lead is used to control, train, guide and tether your dog. The lead is 2m long and double ended. A short lead for heel and obedience training, and a long lead for distance and recall training. Available in BLACK or RED, in small width for smaller dogs, and large width for larger dogs. The COA HALTI Retractable Lead offers your dog freedom when walking while being secured and safe. Features an easy one-click thumb lock to adjust the length of the lead. Has a reflective strip on the lead for night time walking. The retractable lead is lightweight, yet strong and sturdy. The COA HALTI Lead is designed for everyday walking. The handle is lined with soft neoprene for comfort for the owner. Also features reflective stitching on the lead for safe visibility while walking in low light times. The COA HALTI All-In-One Lead is versatile and comfortable for both you and your dog. The handle is adjustable to suit your needs - it can be used as a handheld lead, extended to be used as a belt while walking your dog, or even to tether your dog. Features super strong elastic to absorb any sudden jolts and shocks. The lead also has reflective stitching for safe visibility during low light times. The COA HALTI Collar is an easily adjustable, strong and secure collar that's comfortable for your dog to wear. Features reflective stitching for safe visibility in low light situations. The COA HALTI Walking Harness is practical for everyday walking while being super comfortable for your dog. The harness has 5 points of adjustment for the optimum fit, with two lead rings for ultimate control. Also features reflective stitching for safe visibility during low light times. The Furwear Basic Collar is available in three different collars and three different sizes. It also has an easy to use plastic buckle to fasten securely and comfortably around your dog's neck. The Furwear Dog Harness is available in three different colours and sizes. Comfortable for your dog and very secure. ​Also available in two different sizes. Features a comfortable, padded handle. Furwear Fashion Collars offer a diverse range of colours and styles for your dog. They also feature an easy to use plastic buckle to fasten securely around your dog's neck. Furwear Fashion Leads offer a diverse range of colours and designs for your dog. Furwear Fashion Dog Harnesses offer a diverse range of colours and designs for your dog. Furwear Dog Fabric Muzzles help keep your dog from biting, chewing and barking while still being comfortable. Ideal for training and restraint. The fabric muzzles still allow dogs to pant and drink. For medium to large sized dogs. Adjusts easily for collar sizes 35cm in diameter or larger. By combining the collar and lead into one flexible item means that you and your dog are ready to go in seconds! Simply place the All in 1 Collar and Lead Combo over your dog's existing collar, or even use it alone. Features durable nylon with a reinforced polypropylene centre to provide endless strength and durability, yet ultimate comfort for your dog.